Welcome to My Fairy Art. Fairies represent magic, folklore, and enchantment. I have believed in Fairies or Faeries all my life. As a boy I use to give them rides on my father's upturned golf umbrella. When I walk in the woods as an adult, I see signs of Faerie activity in the nooks and crannies of trees, mushrooms, logs and streams. I always feel that they have just slipped away. There are numerous amounts of Fairy inspired painting, drawings and computer generated art. 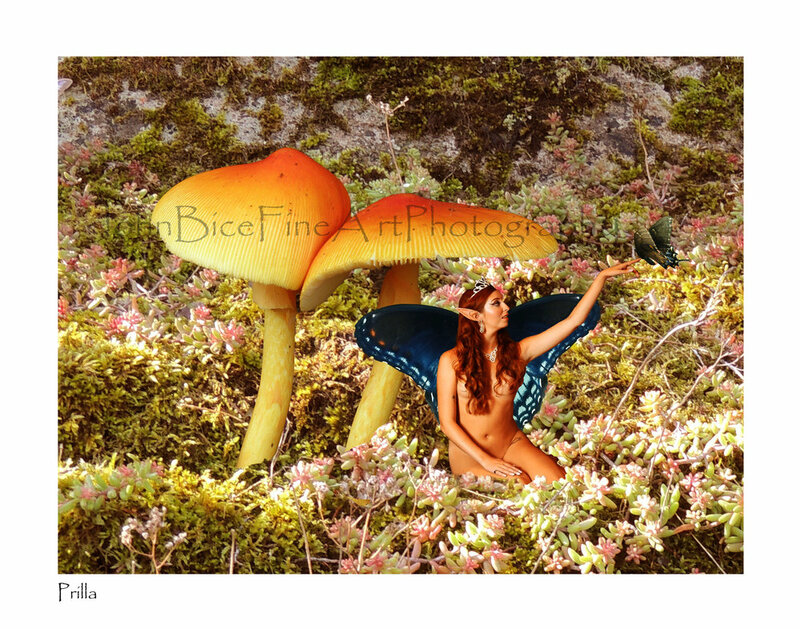 My goal is to display photographs of Fairies ..... real Fairies.